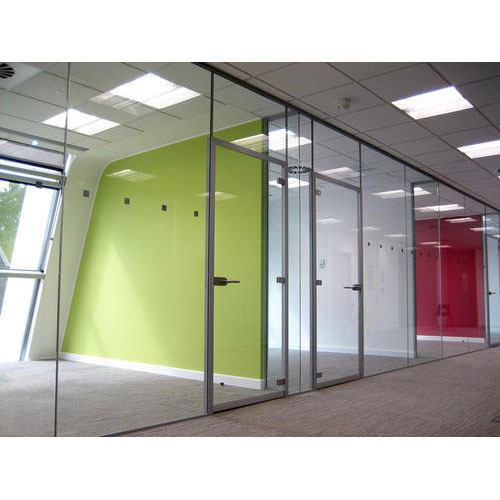 Aimed at prosperous growth in this domain, we are instrumental in offering an excellent quality range of Sound Proof Glass Partition. We “Galaxy Creations” are betrothed in trading a high quality assortment of Bathroom Partition, Awning Carpets, Grid Equipment, Chick Blinds, Gypsum False Ceiling, Imported Wallpaper, Blinds, etc. Founded in the year 2008, we are a Sole Proprietorship company that is located at Delhi (India) and are connected with the renowned vendors of the market who assists us to provide qualitative range of products as per the global set standards. Apart from this, we also impart Aluco Bound Sheet Work, Aluminium Fabrication and Structural Glazing services. Under the supervision of our mentor “Mr. Naveen Tuli”, we have attained a dynamic position in this sector.